So you have successfully navigated your first day in Leuven. Congrats! This part covers the most important things to do in the first week or so of your stay in Leuven. Some of these are for students only, but there are some general things as well. It will be clear as you read on. One of the first things to do if you are a student is to go to the International Office and the Registrar's Office. Both of these are located on Naamsestraat (door numbers 63 and 22 respectively) not far from the Housing office (Naamsestraat 80, remember?). First go to the International Office; they will get the paperwork started so that you get the scholarship money ASAP. The website of the International Office is http://www.kuleuven.be/international/contact/index.html. Timings: On weekdays from 9 to 12.30; and in the afternoon by appointment only. Again, check out the timings in the their website. Things to carry: Your passport, admission/scholarship letter, maybe a letter of temporary accommodation. The next you can go to Registrar's Office.  Here you will be asked to fill out a registration form which will register you as a student at the KU Leuven. You will get an invoice for the tuition fee, and will be asked to go to Fortis bank which is located opposite to the Registrar's Office. Here you can easily open an account, deposit whatever money you have (cash/check/TC) and pay the tuition fee. If you are lucky, there will still be time to take this back to the Registrar Office. If not, do this the following day. At the Registrar Office, when you produce the proof of payment, they will give you stuff like a Bus Pass, KU Leuven diary, some free stuff, and 2 forms: one of which will say "To be used for registration at the City Hall" and the other which says "To be used for registration at the Health Insurance Office". The website of the Registration office http://www.kuleuven.be/studentenadministratie. The two important things at this stage are (i) going to the City Hall and (ii) finding permanent accommodation. It is best if you are able to find permanent accommodation first and then go to the city hall, but if you are not able to find permanent accommodation within a week, then go to City Hall anyway (take your passport, accommodation letter, scholarship letter, and the letter which says "To be used for registration at the City Hall"). The city hall is located near to the Leuven station and just beside KBC bank. This place opens at 9 a.m. on all days except Thursday (on Thursdays from 12 noon onwards). Go there as early as possible. Go in, take a ticket(token), and sit down patiently. When you turn comes, show your documents to the person in charge. They will make copies of the documents you provide, create a file for you, and explain what you have to do. Belgium is issuing electronic card in the place of residence cards. You may need to pay 12 EUR for electronic card (residence card). There are good number of banks in Leuven, which are offering their banking services at reasonable cost. All most all banks in belgium provides internet banking facilities. One can go with no annual cost account with Argenta bank www.argenta.be but with less ATMs to ~30eur / year cost account with KBC bank www.kbc.be with many ATMs and good services. There are other banks too in Leuven. ING(), FORTIS (www.fortis.be), Citi(). You have to carry your passport, scholarship letter and house rental contract to open an account. Students under 26 years can open their account with zero annual cost. It is very useful to have a mobile phone (also called GSM here). There are three main GSM operators: Base, Mobistar, Proximus. Information on tariff plans, etc. can be obtained by visiting their websites. Outlets for these GSM operators are located in the center of Leuven; you can go and speak to them in person. Likewise, mobile phones are in great demand here, and there are numerous mobile phone shops in the center of Leuven. More on shopping later. If you are a Ph.D or Post.Doc student in K.U.Leuven, you can get a free bike from K.U.Leuven 2WD. Here is the form to fill and the address is inside to submit this form. https://admin.kuleuven.be/sab/od/intranet/2wd/doc/Inschrijvingsformulier_2WD.pdf . It requires the K.U.Leuven username and password. Here are the details about 2WD bike. It requires the K.U.Leuven username and password. Other inventions of the modern age that we cant live without, isn’t it? If you are looking only for Internet, you can opt for Scarlet. Scarlet is giving ADSL unlimited download with 12 Mbps bandwidth. You can also share the connection with your neighbors too. In promo seasons, it offers it for total 25 eur / month, and in normal seasons it offer for total 30 eur / month. According to our stats, this is the best and their internet connection is also good. If they ask for some reference client (Mijn Peter/Meter Klantnummer), you can use mine S1898571. If you are looking for Internet, Television, and Telephone through ADSL, you can look for various offers in Scarlet, www.belgacom.be) and Telenet (www.telenet.be. You can get all with the price ~50 EUR/month to ~60 EUR/month. If Scarlet ask for some reference client (Mijn Peter/Meter Klantnummer), you can use mine S1898571. If you don't have the possibility to get ADSL connection, you can look for WiMax based connections like Clearwire. If you want to explore more, check this wiki http://en.wikipedia.org/wiki/Internet_in_Belgium.